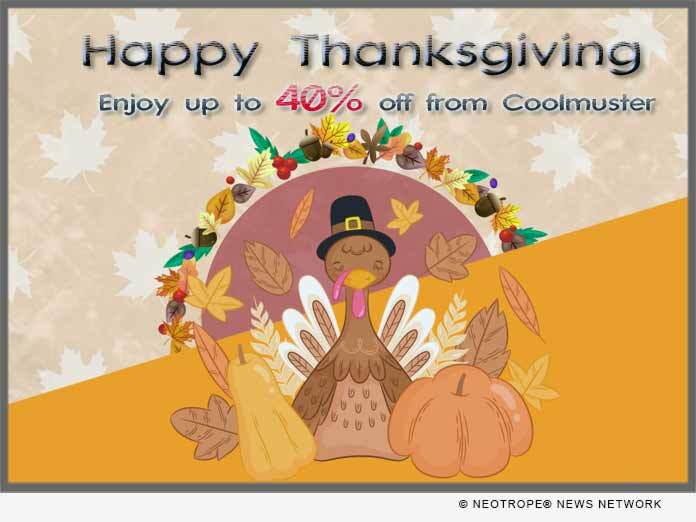 LOS ANGELES, Calif. /California Newswire/ — Coolmuster, a leading provider of mobile helper tool of Android and iOS users, today announces its biggest Thanksgiving sale promotion to celebrate Thanksgiving and Black Friday with customers. In appreciation of their long-term support, Coolmuster is rolling out a 40-percent discount off for customers which is available on all programs from Coolmuster Studio. Android Tools: Both Android Assistant and Lab.Fone for Android software are available here for users to manage, transfer, backup, restore, edit Android devices’ data on computer and recover deleted contacts, text messages, videos, photos, music and more from Samsung, HTC, LG, Motorola, Sony, etc. in a blink. iOS Tools: Professional and easy-to-use iOS Assistant (Win & Mac), Data Recovery for iPhone/iPad/iPod, iOS Cleaner, iPhone SMS+Contacts Recovery, etc. that lets iDevice users transfer or recover files from iOS devices to computer or mange file or folders more conveniently. Utilities Tools: Tools here can help users easily find back lost photos, videos, files, books, etc. from all kinds of hard disk and move the mentioned data between two different devices. Products include Data Recovery, Mobile Transfer, etc. Coolmuster is a leading enterprise in consumer software industry. The company focuses on backup & recovery software related Android, iOS and hard drive. It was initially established Shenzhen, China in the year 2005 and offering its services as a consumer software developer on an international scale.